A 19-year-old weightlifter has been suspended by the Indian Weightlifting Federation (IWF) for allegedly harassing three junior women weightlifters at the NIS, Patiala. 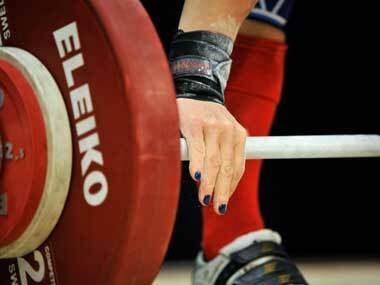 The three lifters have alleged harassment by Shubham Verma, a silver medallist at the Youth Nationals last November. He has been accused of making repeated phone calls, sending messages, staring at the girls with an intention of making sexual advances towards them. The matter came to the notice of the IWF on Wednesday when the girls made a written complaint against Verma to their coaches and provided the call details of his mobile number. The coaches in the camp took immediate note of the matter and recommended strict disciplinary action against Verma. "Shubham Verma has been suspended by the IWF and subsequently removed from the Patiala camp," IWF president and Member of Parliament, Birendra Prasad Baishya told PTI. "The matter came to us and we took immediate action against him. The allegations are of serious nature," he added. IWF secretary, Sahdev Yadav said Haryana Weightlifting Association convenor, Satpal Singh has been asked to explain in writing the misconduct of Verma within 15 days. "We have written a letter to Satpal and asked him to respond in writing within 15 days of the receipt of this letter. Another letter has been shot off to Shubham asking him to explain in writing why he made calls to the girls and harassed them," said Yadav. 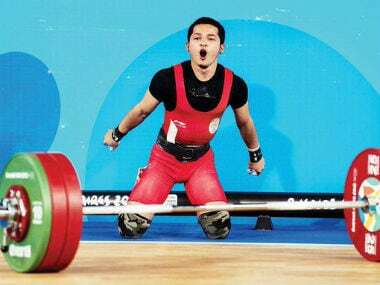 Yadav informed that Shubham admitted his mistake after the coaches verified the claims of the youth weightlifters: "He was making repeated calls to the girls and he has accepted his mistake. He will remain suspended till the time he submits his reply to IWF," Yadav added. Verma could not be reached for his comments as he has temporarily withdrawn his number. He was in the national coaching camp from March 1, 2013 at the NIS, Patiala.